With this function, you can check the operation log of users. This can be used for tasks such as supervision. ・This function is a pay-to-use option. If you would like to use it, please contact your sales representative. ・The log will be recorded from the first day of the contract for this option. ・To use this, it is necessary to have permission to "View Usage Record". For how to give permissions, please see here. ・From when the download button is pressed until the file is generated, in some cases it may take more than one day. ・Logs of more than 14 months ago cannot be output. If you think a log may be necessary, please download it in advance. ・Logs of the current month and the last 12 months can be outputted. ・The output format is CSV. ・For details of the contents of the file and the event items, please see here. ・The times that appear in the log are Japan Standard Time (JST). 1. 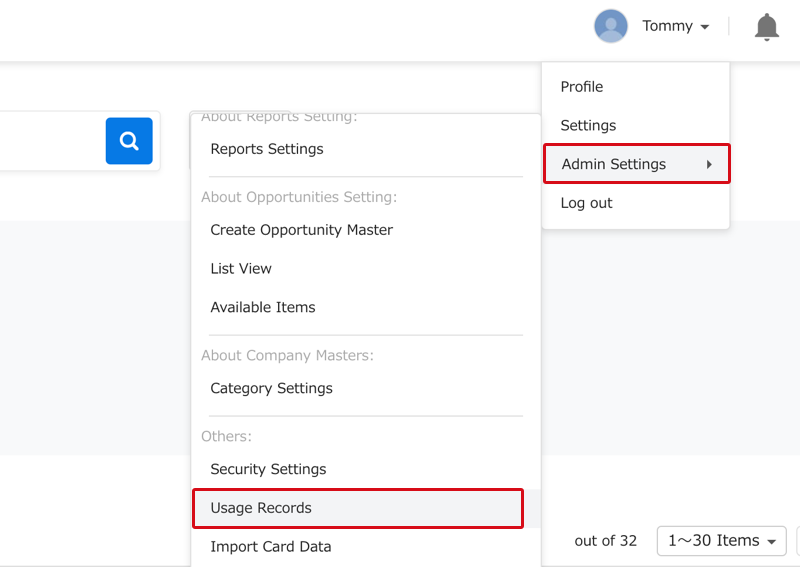 Click on "Admin settings" in the upper right of the screen, then on "Others", "Usage Records". 2. Select the "Usage log" tab, then click on "Srart creating log" of the month you wish to output. 3. After the file creation is complete, a notification email will be sent. Email subject:Creation of the Sansan usage log is complete. 4. After file creation is complete, click on "Download". *For an explanation of the items in the CSV file, please see About each item in the file.